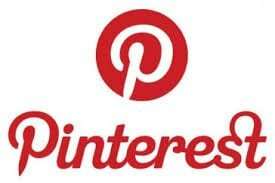 Create a Pinterest page for you as a writer. Not your book or books, but something like John Smith Books or John Smith Author (but not Author John Smith – there’s a lot of pages that start with Author). Don’t create a page for your book, unless it’s a well-known series. It will also make you easier to Google. If given the option to add a “Pin” button, take it. Create a board of your genre or genres – that’s what readers usually search by. In that board, you’ll want to add your book covers and a short blurb with a link to where the book is available. Or go to the sites where it’s available, find the image of the book cover, and Pin should come up. Pin to the appropriate board. As a social media site, it’s a place for readers to get to know you, the writer. Create a Board of your favorite quotes, things you like or something you like or love – like movies you’ve watched, or your pets. Funny images are great, too. Update regularly. Give readers, other writers, etc. a chance to engage. Keep them coming back so when you release a new book, they’ll be used to looking at your page and see you have a new release. You can prep folks for that new release by adding pictures that are helping to inspire you.Pinterest can be a great social media site for interacting with your fans or potential fans. You can also add promotion for other writers you like.